Even with the San Antonio crowd rooting for the Spurs, it wasn't enough to thwart the advance of the Warriors in winning Game 3 of the NBA Western Conference Finals. 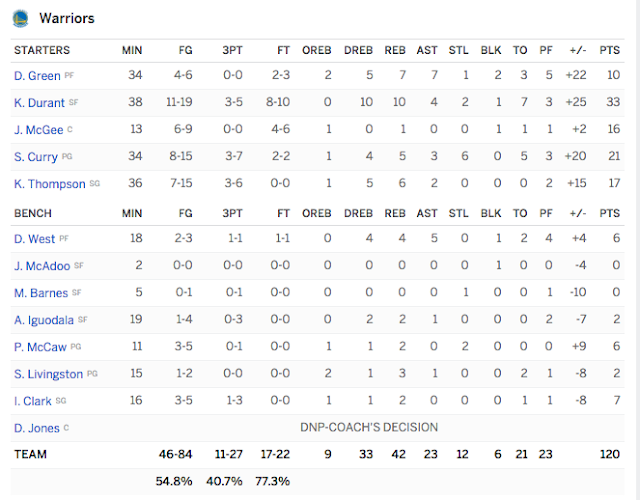 Score 120-108 for the Warriors for a 3-0 lead in their series. 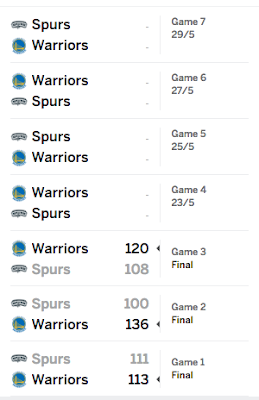 Manu Ginobili led the Spurs big time today with 21 points, his highest score in playoff game, minus Kawhi Leonard and big man David Lee. Aldridge stepped up this time with 18, followed by regular scorer Simmons with 14. 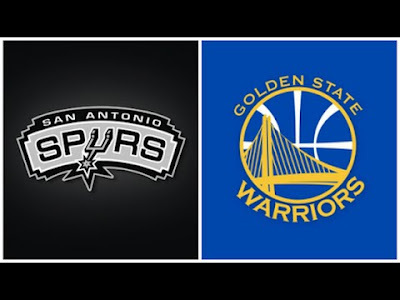 For the Warriors, it was a hard fought battle as the Spurs gave them good defense, forcing them to commit errors, and outrebounded both in offense and in defense. 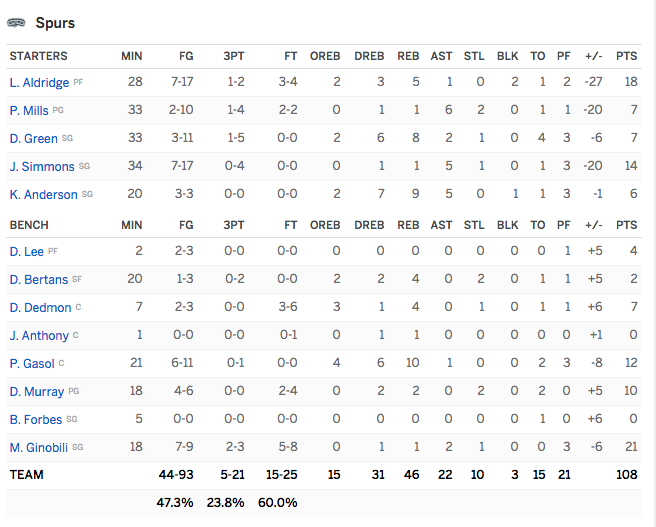 Even with Spurs big man David Lee out in the first quarter, they were still outrebounded. The Warriors were led by Kevin Durant, whose third quarter scoring was his highest in a playoff game, finishing with 33. 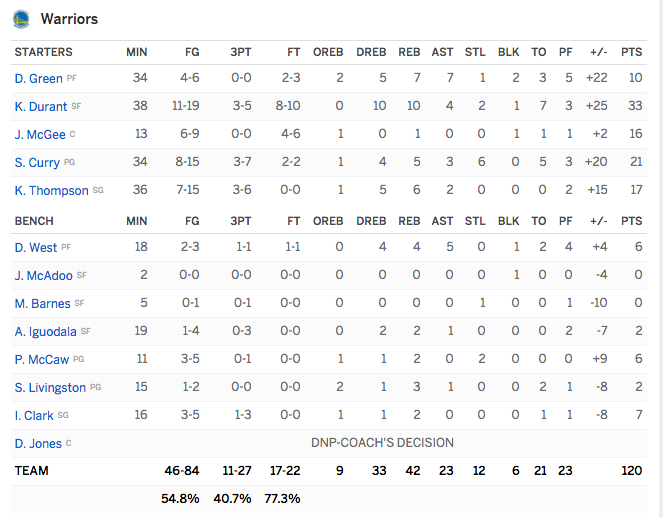 Followed by Curry with 21 and Thompson with 17. Game 4 will still be in San Antonio on Tuesday May 23 (Wednesday 24 Philippine Time) and Spurs fans hope Kawhi will be back healthy from his ankle injury sustained in Game 1.